This is a continuation of our previous post: The Georgia Peach Festival in Fort Valley. As Johnny and I were leaving the Peach Festival, we agreed that we were not quite ready to go back to Atlanta just yet. 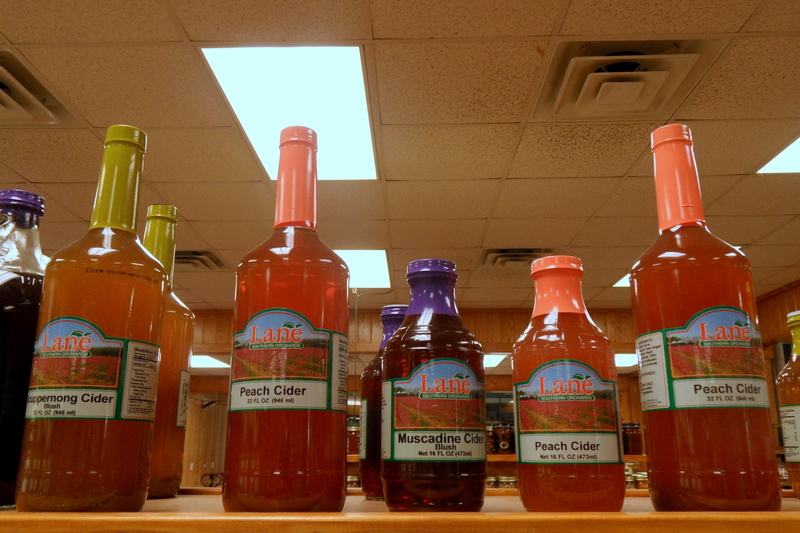 After all, we were in Georgia’s Peach City, and we couldn’t go home empty handed. At the festival, we saw plenty of stands and banners advertising local peach growers. Now that we have tasted the world’s largest peach cobbler, it only made sense that we found out for ourselves where the fruits were harvested. 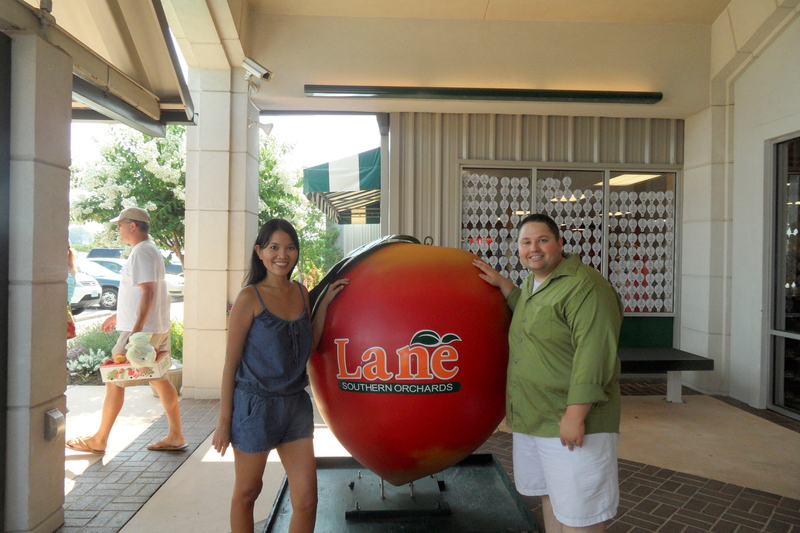 As Johnny was driving on the road, we saw signs pointing towards Lane Southern Orchards. It is located just outside of Fort Valley, and if you were to come from Interstate 75, it would only take about 5 minutes to get here from Exit 142. 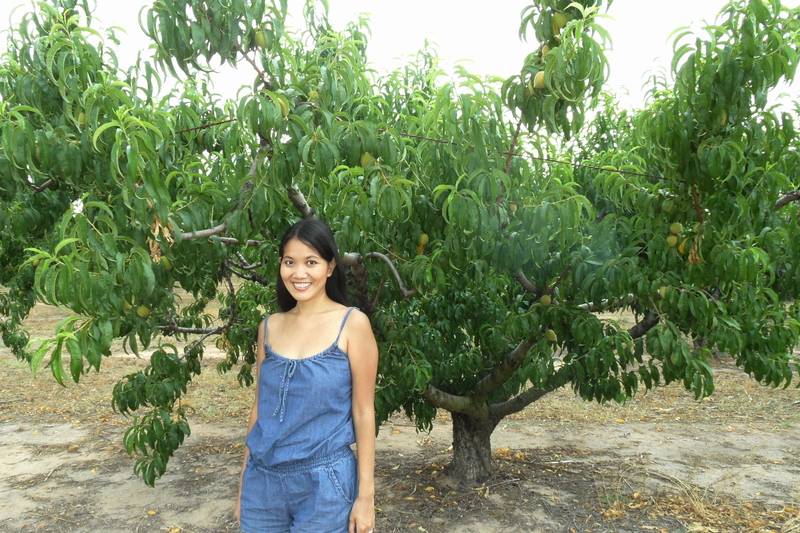 Me in front a peach tree. The peaches were not quite ripe yet. After we parked our car, we headed straight towards the orchards. 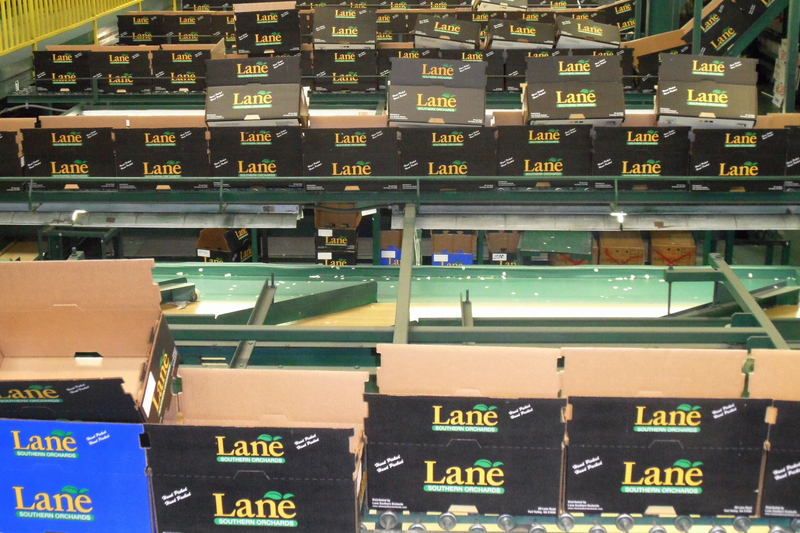 The Lane family has been growing peaches since 1908. At that time, it was known as the Diamond Fruit Farm. 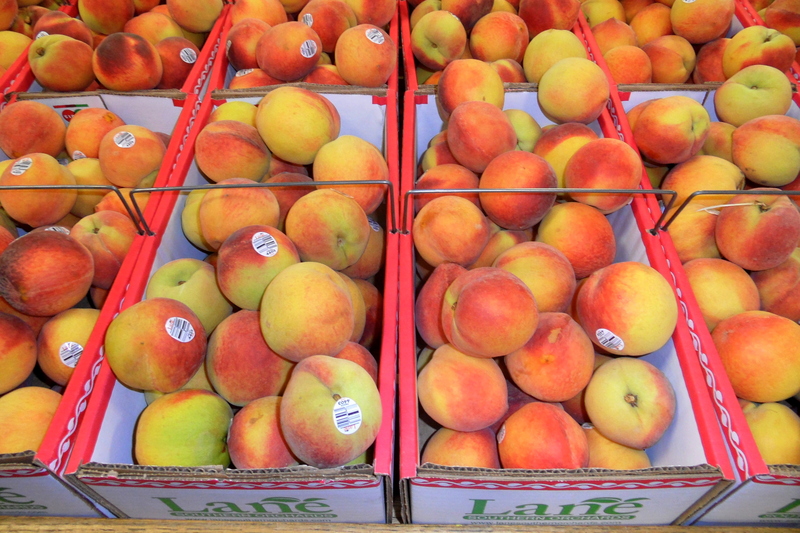 Today, the farm encompasses almost 5000 acres of land, and produces more than just peaches. 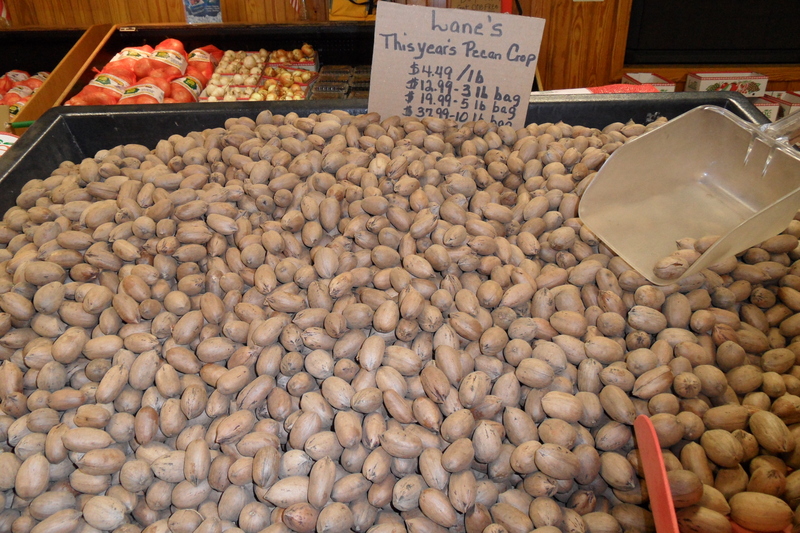 Here you can find Georgia’s other famous crop, pecans, and other fruits such as berries and citrus. While visitors can choose to take a riding tour through the orchards, we opted to go inside the building to escape the mid-afternoon heat. Well, folks, let me tell you something: I was totally blown away with what I saw inside the store. I was expecting a modest mom-and-pop type of market. Boy, was I wrong! This place is super modern, huge, and carries a plethora of goods. Let’s start with their pecans. Those pecans looked good, didn’t they? However, are you aware that they make oil out of pecans? 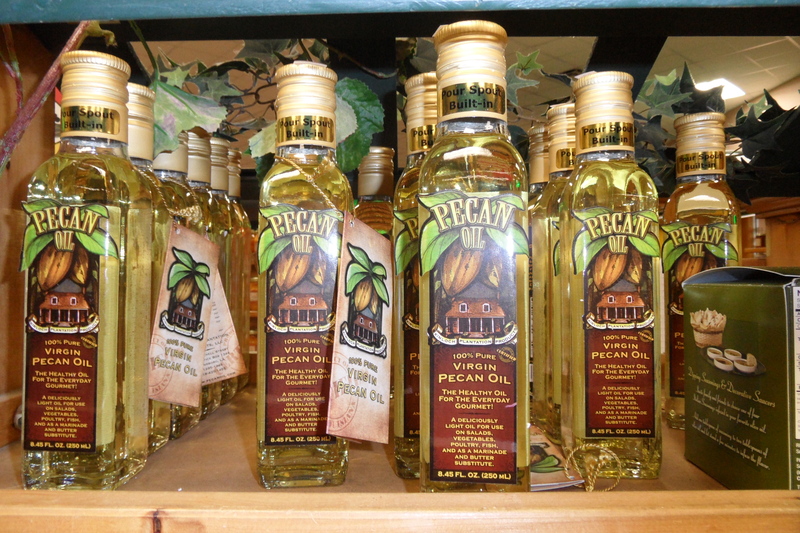 Here’s something we had never heard of before: Virgin Pecan Oil! It’s now time to check out the peaches. 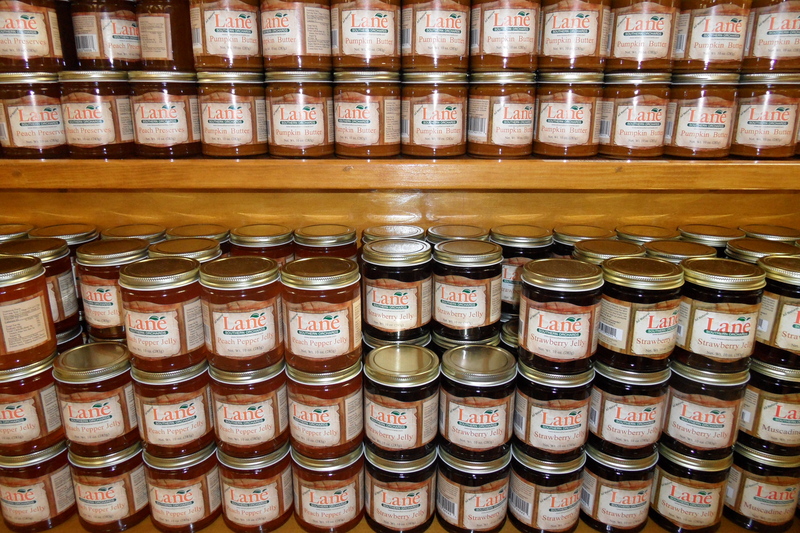 Peach preserves, peach pepper jelly, strawberry jelly… Oh, and the pumpkin butter sounds delicious, too! And given that it was a hot summer day, all we could think about was how to cool down and quench our thirst. So we started walking towards their cafeteria, aptly named the Peachtree Cafe. The Peachtree Cafe’s menu includes dishes such as fried chicken, turkey legs, burgers and pizza. 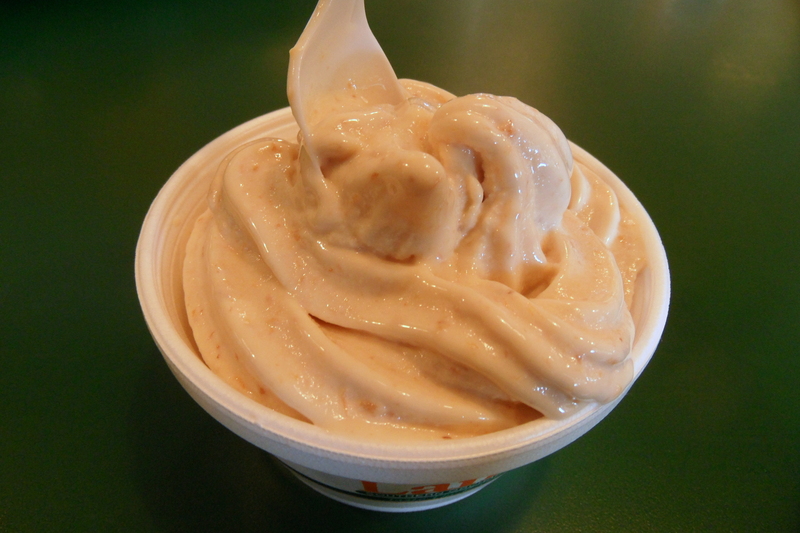 However, what we were really after was their famous homemade peach ice cream. Oh my, I am not exaggerating when I said that it’s the BEST peach ice cream I have ever had, or probably will ever have in my life. The texture was very smooth and light, and the peach chunks were of course very fresh. 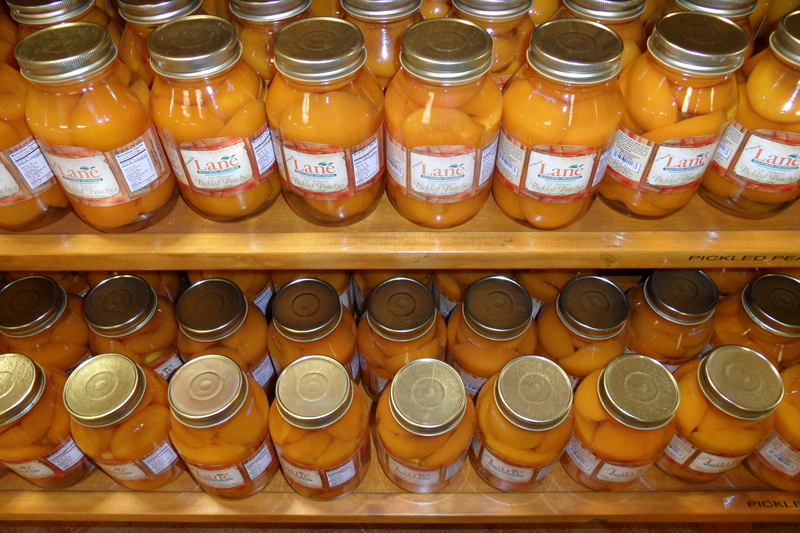 (One week later, I had a craving for peach ice cream, bought a container at the grocery store, and hardly ate it. Apparently, I have turned into a peach-ice-cream snob). After our short break at the cafeteria, we were ready to shop again. We had briefly stopped by the wine section when we first entered the store. However, since it was going to be a hassle to have to carry a bottle of wine around with us, we agreed to come back to it when we were almost ready to check out. So we did, and had a lot of fun trying their wine selection. If I remember correctly, Johnny ended up with a bottle of muscadine. Sweet peach wine! It makes for an interesting wine tasting, right? We then took a look at the non-alcoholic drinks. 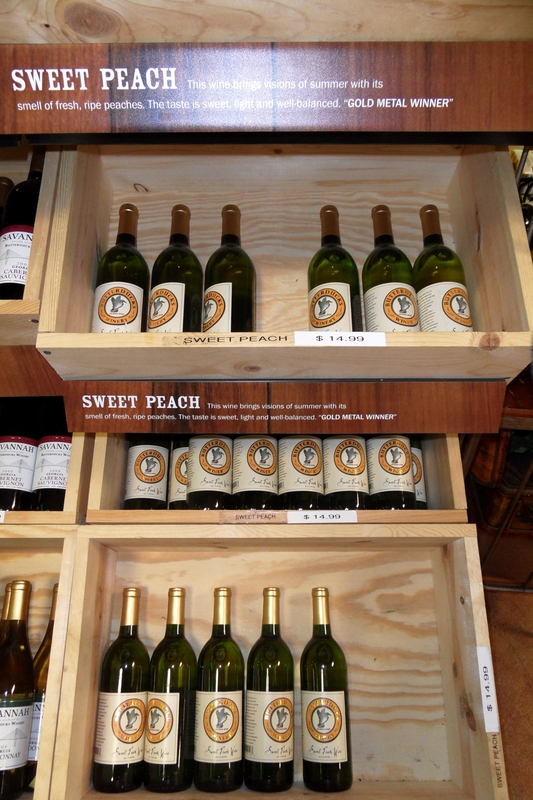 This time, we did pick out something peachy: a bottle of peach cider for Nanette. As if all the perusing, shopping, eating, and drinking did not make us tired already, there’s yet another section of this building that’s worth to be explored. 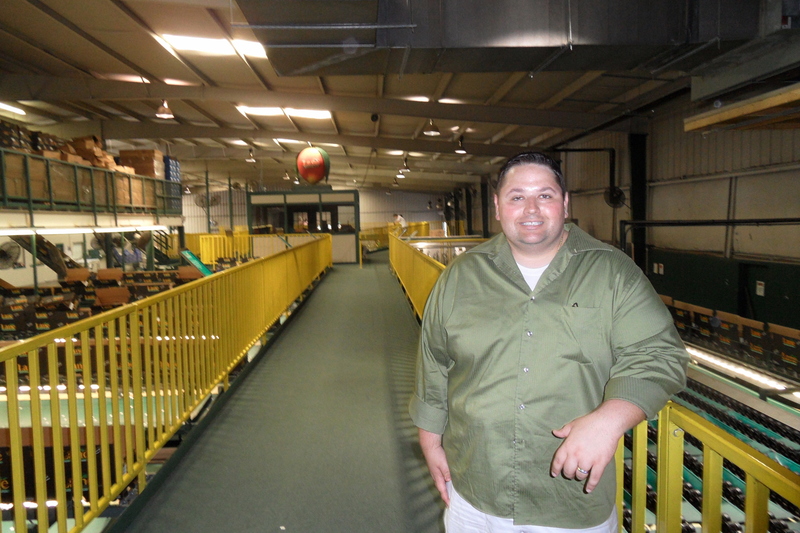 Lane Southern Orchards lets its guests take a self-guided tour of the packing-line. 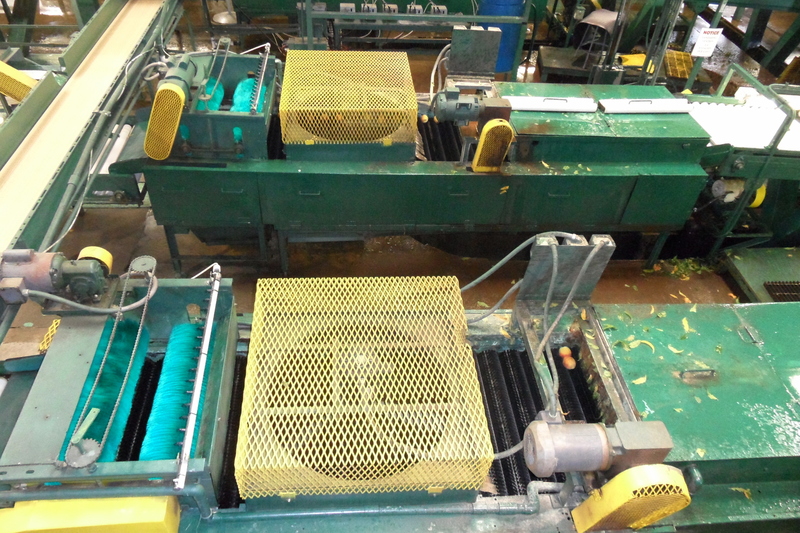 It’s really neat to be able to observe how the peaches were prepared before they were shipped out. This tour is free of charge, which is another good reason why you should not skip this activity. Have you had enough reading my post about this really cool place? No? Good. Because Lane Southern Orchards made it very difficult for us to leave. Everywhere we turned around, there’s more fun to be had! 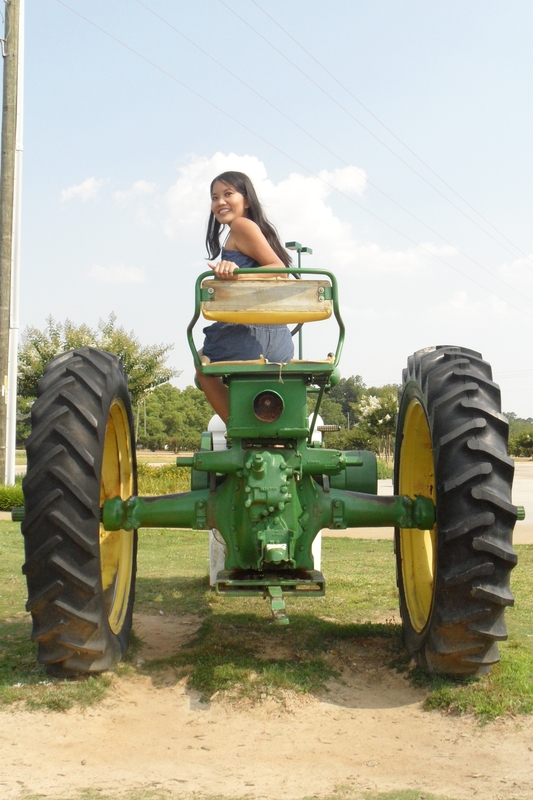 After we paid for all of our goodies, we went to the farm again to take pictures with the old tractors. Johnny enjoyed every minute giving me instructions to pose, and making me look as silly as I could be. 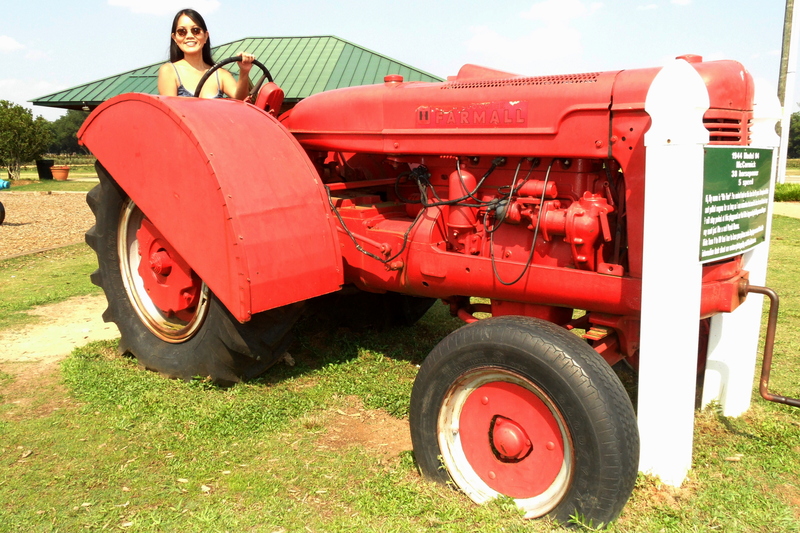 So enjoy these pictures of an Indonesian girl in a denim romper riding antique tractors. Caught on camera! 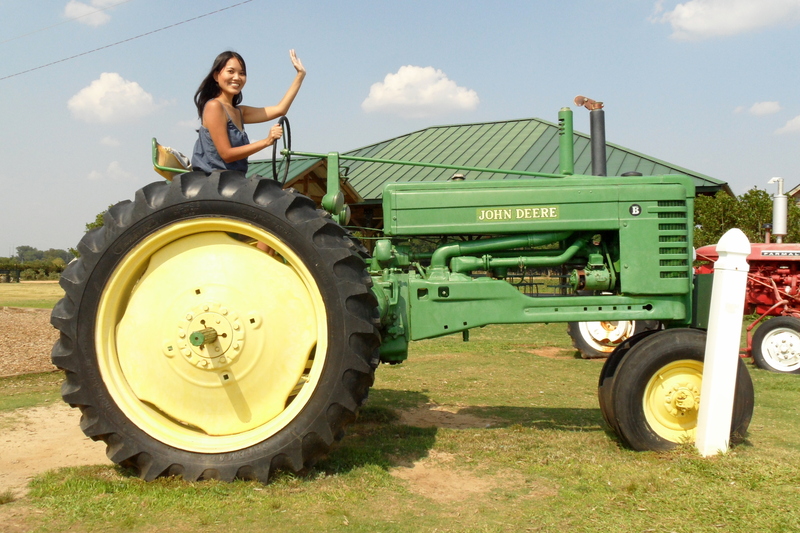 A bad Asian driver too busy posing to realize that the tractor is too big to go through the poles. Well, readers, that’s all for now. 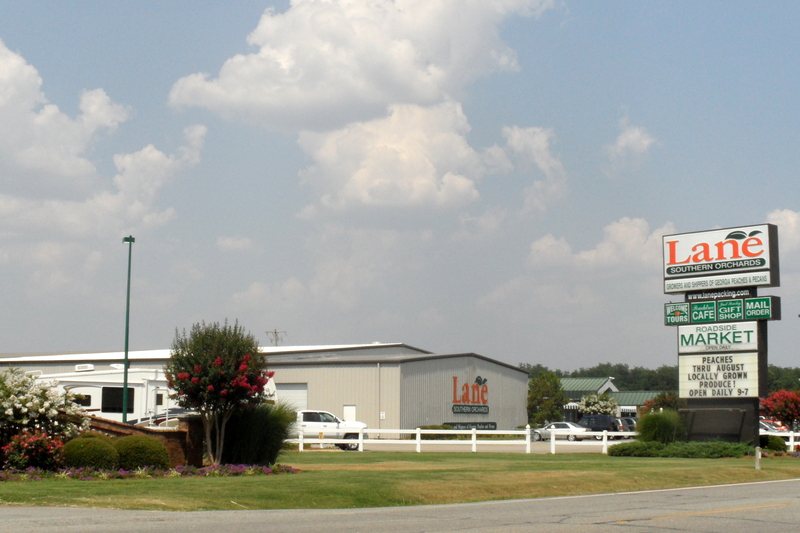 If you ever happen to find yourself in Georgia’s heartland, I would definitely recommend a visit to Lane Southern Orchards. There’s no shortage of interesting things to do, and you will come home with sweet memories of Georgia’s peaches. We are so glad you were able to stop by for a visit. We do hope you will come back again soon. And, thank you for all the kind words! We really strive to make the 275,000 visitors we receive each year have a wonderful experience. 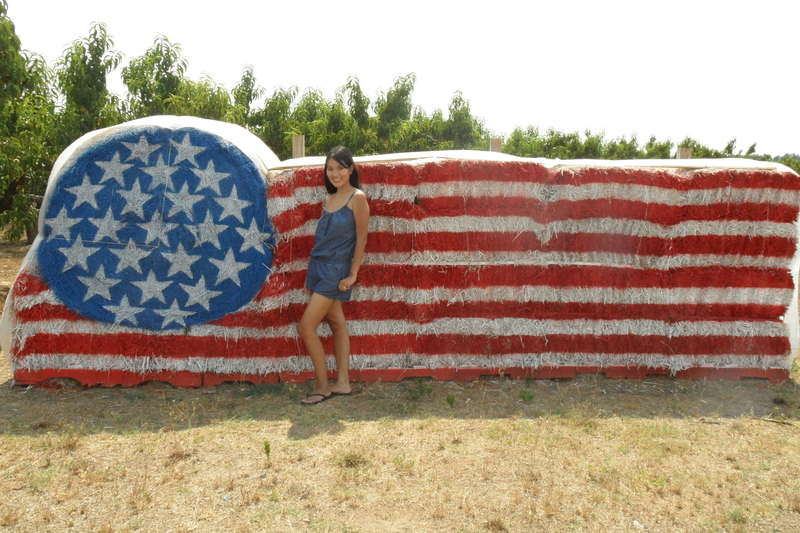 Thank you for stopping by our blog! 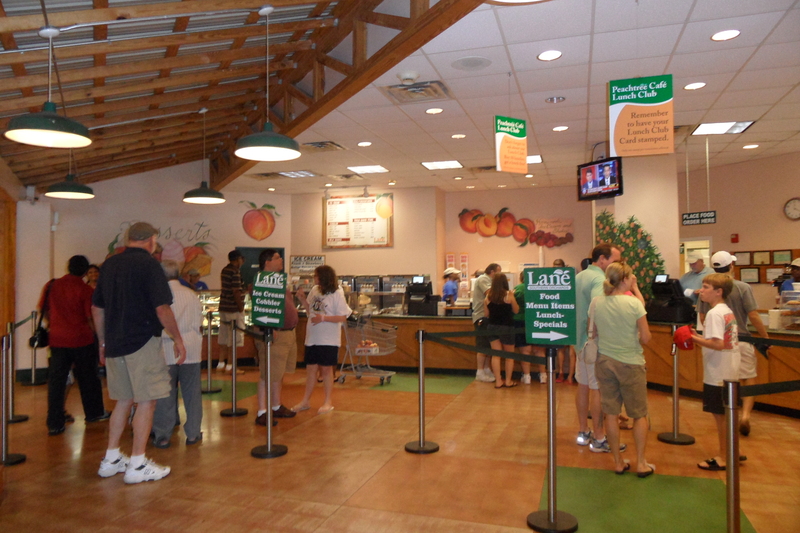 We have great memories of Lane Southern Orchards, and have recommended our friends and family to stop by your place. We cannot wait to return some time in the future!